My husband and I are truly blessed in that next week, we’ll be feasting on two Thanksgiving dinners – one with each side of our families. 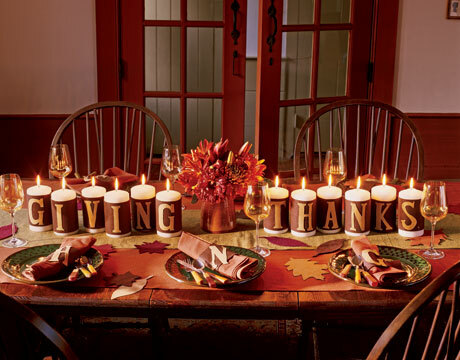 Because the Thanksgiving hosters have long been established, I’ve never had to prepare the formal Thanksgiving meal for everyone.I have to admit, the thought of hosting so many people in our small-ish Chicago apartment would make me more than a little nervous. 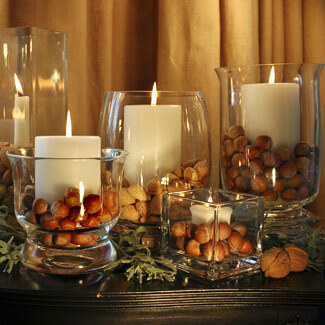 But, even though I’m not hosting, I love looking at ideas for creative Thanksgiving tablescapes. Usually, I’m all about the over the top-ness, glitz, and glam. The more glitter, the better. The bigger the cornucopia, the better. the fancier the place settings, the better. But this year, I’m definitely more focused on the simple and using the natural warmth of light to really add to the table. 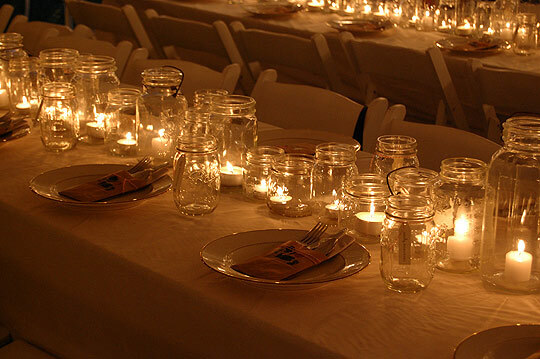 I’m loving this basic mason jar candle set up, and it can’t get much simpler than a mason jar with a tea light in it. 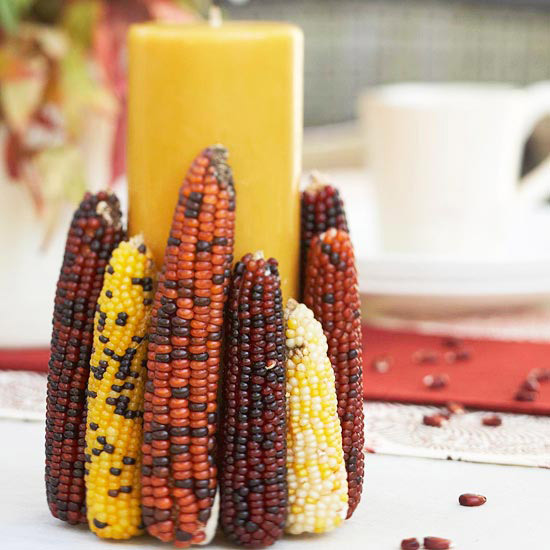 If you’re hosting Thanksgiving this year, what are you planning for your table decoration?